Two StarWars.com writers sound off on which character is more powerful! One of the great things about Star Wars is that it inspires endless debates and opinions on a wide array of topics. Best bounty hunter? Most powerful Jedi? Does Salacious Crumb have the best haircut in the saga? In that spirit, StarWars.com presents From a Certain Point of View: a series of point-counterpoints on some of the biggest — and most fun — Star Wars issues. In this installment, two StarWars.com writers discuss whether the First Order’s dark-side enforcer is more powerful than a certain Force-sensitive desert scavenger. Who is stronger with the Force, Rey or Kylo Ren? KYLO REN, says Amy. When I think about The Force Awakens, I have no problem choosing a favorite character. Rey has my heart, my everything. But I can’t help but be intrigued by Kylo Ren. He’s a slice of raw, unpredictable emotion, and he uses those emotions to fuel how he employs the Force. His volatile nature and background make him stronger with the Force than Rey. After Ren interrogated her, we saw Rey wield the Force and do so to an impressive degree. That doesn’t mean she’s stronger than Ren, though. We saw Ren use the Force in ways we haven’t witnessed before. He was able to stop Poe’s blaster bolt in mid-air on Jakku. He used the Force to delve into the minds of others for knowledge and memories. Being the grandson of Darth Vader and nephew of Luke Skywalker, who we know to be powerful Force users, likely gave him a boost since the Force is strong in their family. Good or bad, Ren has received training Rey hasn’t. He learned directly from Luke before enrolling in Snoke’s School of Evil (what – it’s my head-canon!). We admittedly don’t know much about Snoke and his methods, but since the Supreme Leader mentioned Ren needs to finish his training, we can assume some training has already happened. Snoke tempted Ren with the dark side. Ren funneled his rage and fear into the Force and through it gained intensity that gave him an advantage. I’m not saying the dark side is the way to go, but it does tend to plus the Force experience. Ren’s sheer determination gave him an edge, too. After being hit in the gut with Chewbacca’s bowcaster, Ren still summoned the energy to face Finn and then Rey in hand-to-hand combat. He was dripping blood, but he used his anger like a weapon and was able to take down Finn in no time. Rey gave Ren a sound beating, but only because Ren was already injured and thrown off his game. If they would have met in combat when Ren was at full health and had complete control over the Force, I don’t believe Rey would have been able to fight him off. She’s only just becoming aware of her strength and what she can accomplish by letting the Force in. Ren has spent more time using the Force than Rey. Her abilities might have had a slight role to play in her survival on Jakku, but as far as we know, they were, by and large, dormant. 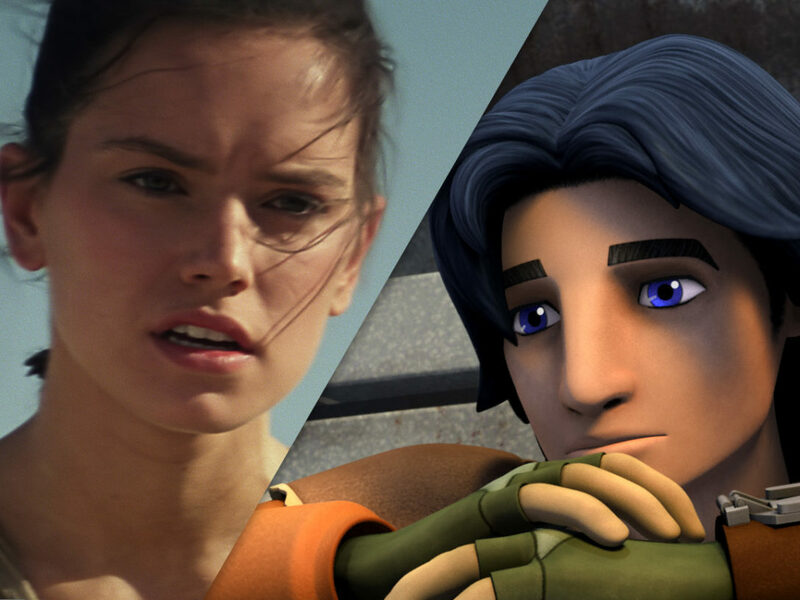 Rey might have a more pure, light connection, but Ren is stronger with the Force…for now. Who is stronger with the Force, Rey or Kylo Ren? REY, says Dan. When considering whether Kylo Ren or Rey is stronger in the Force, I suppose we should consider what “stronger in the Force” actually means. It would seem, based on the history of the Star Wars saga, that to be strong in the Force means to be in tune with the Force. It would further seem that for an individual to truly feel the Force around them, one must be A) aware of the existence of the Force, and B) open to embracing that which surrounds us, penetrates us, and binds the galaxy together. It requires focus, a natural talent for wielding the Force, and for embracing every part of self. Based on these presuppositions, the answer is clearly the scavenger from Jakku. Yes, Kylo Ren is a powerhouse, with undeniable abilities never before seen in the Star Wars universe; he personifies the power of the dark side. Fear is the ally of dark side wielders, as it increases a dark side user’s strength through instigating fear. However, Ren’s greatest strength also appears to be his greatest weakness: fear. Kylo Ren is afraid of who he might be (in possession of the light side), or who he many not become (Darth Vader), and this is further demonstrated through two key moments. The first time we see this is when Rey is captured by Kylo Ren, and is interrogated by the dark side wielder. Kylo Ren attempts to use the Force to pull information on the map to Luke Skywalker from her mind. 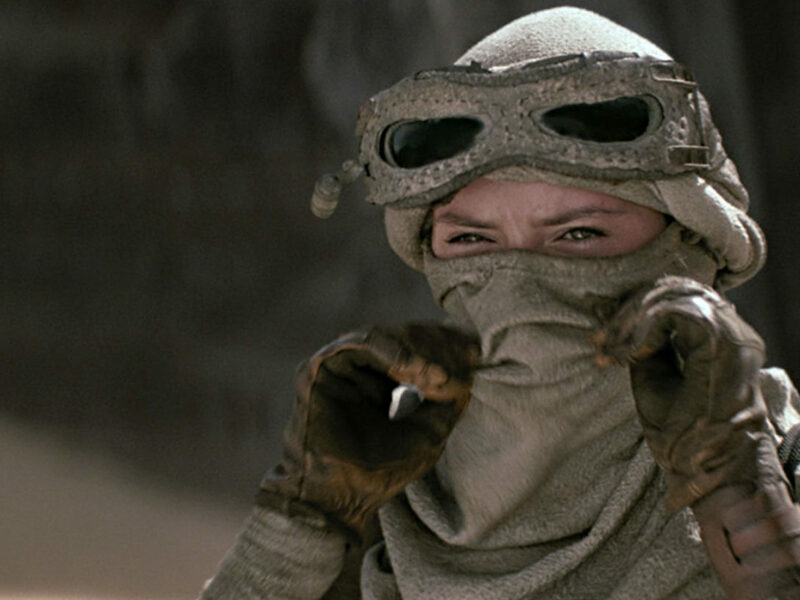 However, Rey, with no formal training, and with almost no knowledge of the existence of the Force (until she met Han Solo), not only resists the powerful Knight of Ren, but intimidates him, even though she is shackled and supposedly vulnerable. Rey grew up on the desert planet of Jakku, forced to rely on basic survival skills and, unbeknownst to her, latent Force abilities. While growing up on Jakku, a flight simulator and learning to support herself for survival were her only means of training for what she would encounter in The Force Awakens. On the other hand, Kylo Ren was trained by Luke Skywalker (whose credentials speak for themselves), as well as Supreme Leader Snoke, and is the grandson of Anakin Skywalker. Someone as raw in the Force, with absolutely no training, should not have been able to subvert the machinations of Kylo Ren. However, Rey is no ordinary Force wielder. She repels Kylo Ren, repels his attempts at Force manipulation, and scares him. Terrifies him, in fact. 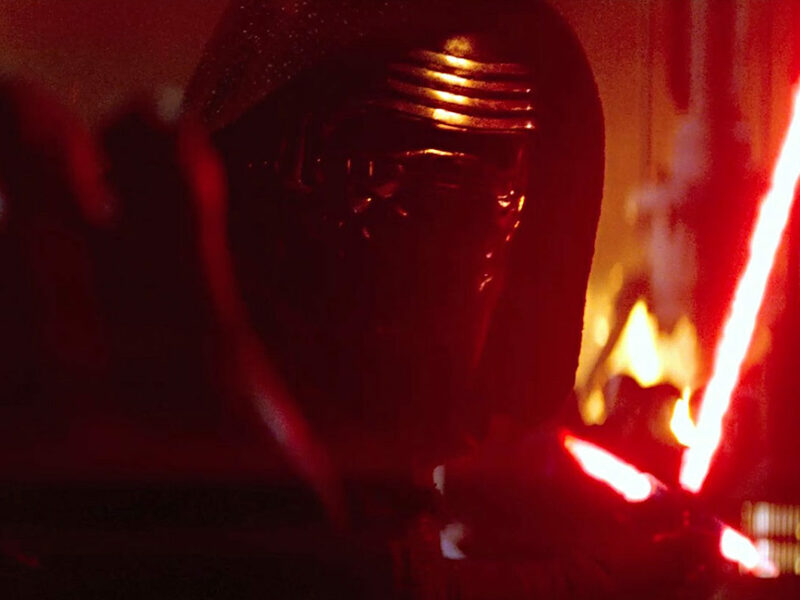 A dark side user is supposed to use fear as a weapon, but Kylo Ren is a victim of it. Rather than fight back, he runs off to Snoke for guidance. Clearly, Rey is the master here. In addition to this compelling evidence, consider the climactic encounter on Starkiller Base. 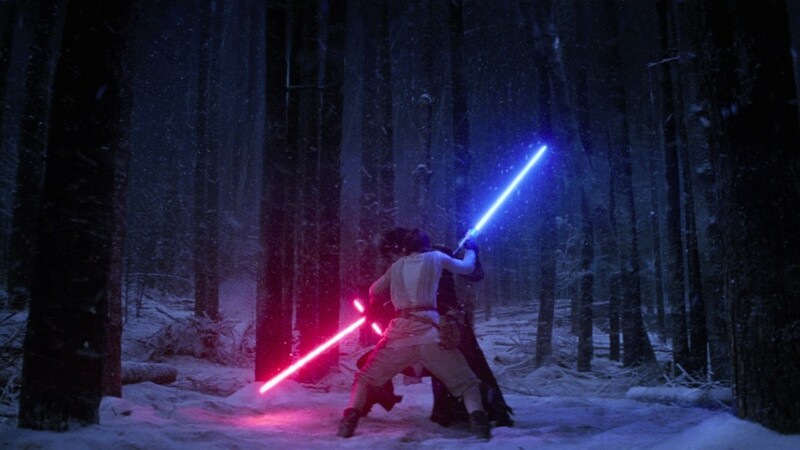 Rey faces Kylo Ren, who is admittedly wounded, but should be more than a match for someone who has never used a lightsaber before. Just before this, Kylo Ren easily took down Finn, who has spent his entire life in combat training, and was not suffering from a substantial wound like his opponent. It would be reasonable to assume Rey would suffer the same fate. However, this is far from the case. Rey takes a largely defensive approach to the duel but, when the Force is mentioned, calmly centers herself, calls upon the Force (of which she has almost no knowledge of), and not only defeats Kylo Ren, but could have dealt him a fatal blow, had she chosen to do so. Kylo Ren has a lifetime of training and practice, is one of the most powerful combatants in the history of Star Wars, and is the leader of the Knights of Ren. Rey has been consciously using the Force for five minutes, and nearly destroys the fearsome warrior. Rey is in control of her emotions, seemly more able to commune with the Force in almost overwhelming odds (with zero training), and vanquishes her foe in dominant fashion. What do you think? Is Rey or Ren more powerful? Sound off in the comments below! 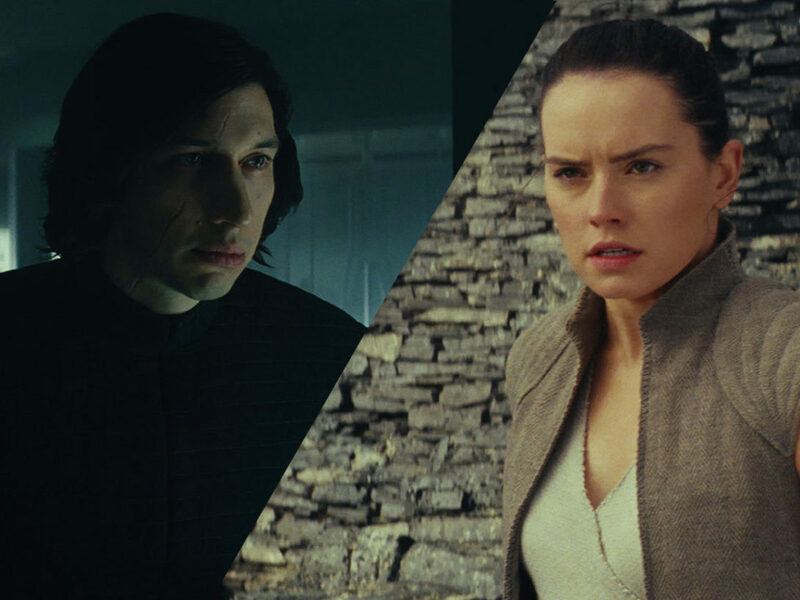 Quiz: Are You More Rey or Kylo Ren?